On the first day of 1926, thirty-seven-year-old F. Rodney Paine stepped into the role of superintendent of the Duluth Park Department. An appreciation for parks had surrounded Paine since his youth. He was born in Duluth on June 17, 1889, the year the city’s first Board of Park Commissioners was created. His father, Frederick William (F. W.) Paine, was a charter member of that park board. 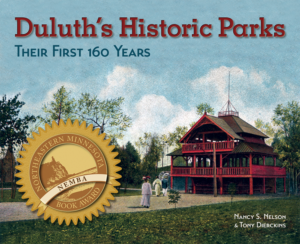 His mother, Emilie, was the sister of William Sargent, a developer of Lakeside who in 1893 donated to Duluth the greenspace we know today as Lester Park. Rodney Paine seemed destined to become Duluth’s most visionary and influential park superintendent. After graduating from Princeton, Paine went on to Yale University, where he earned a master of forestry degree in 1914. He worked with the U.S. Forest Service in Montana and Idaho until 1916, when he accepted the job of managing Minnesota’s newly created Jay Cooke State Park. 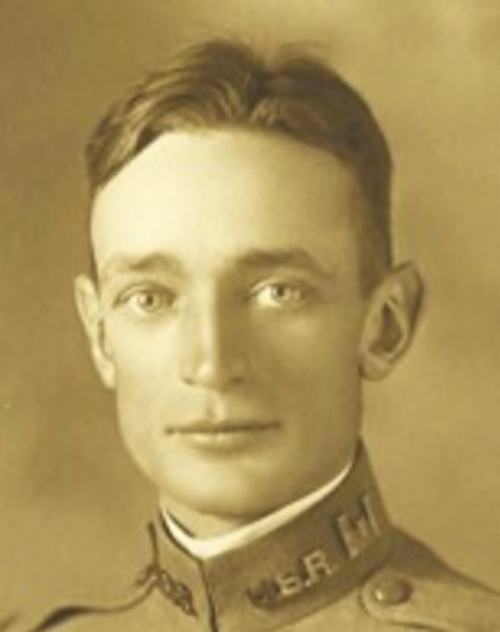 He took a leave of absence during World War I to serve with the 109th Division of the U.S. Army Corps of Engineers. Following his discharge in 1919, he returned to Duluth and his work at the state park. During the early 1920s he cooperated closely with Duluth mayors Clarence Magney and Sam Snively to create Mission Creek Boulevard, which would link the state park to Duluth’s Skyline Parkway. Paine brought to the park department a talent for planning, organization, and record-keeping. When he took over, the park department equipment consisted of one team of horses and two discarded army trucks and there were no office records or development plans more recent than 1912, the last year the park board existed. Full-time caretakers maintained the larger parks, but the smaller parks did not receive the same level of attention. Paine immediately started working to modernize the department. To improve the efficiency of the maintenance work, Paine added new equipment and created what he called the Flying Squad—a small crew of men using a light truck to travel from park to park, focusing especially on the smaller parks that did not have caretakers. He also developed a system for keeping detailed records—including photographs—of the work done on each park. (A collection of Paine’s photos owned by the Duluth Public Library, is held in the University of Minnesota Duluth Kathryn A. Martin Library Archives and Special Collections.) By 1928 the park department, including office staff, numbered at least thirty people. Paine spoke often of the importance of planning intelligently for the future of the park system. Part of his vision included a major shift in the department’s mission, toward developing more recreational and revenue-producing activities. During his administration, Paine oversaw development of the golf courses at Enger and Lester Parks, construction of cabins at the Brighton Beach and Indian Point Tourist Camps, creation of the city nursery in Fond du Lac Park and the outdoor stage at Leif Erikson Park, acquisition of the Longview Tennis Courts, and extension of the parkway from fifteen miles to over forty-six miles. He also initiated development of the Minnesota Point Recreation Area, Ordean Field, Wheeler Field, and the winter sports centers at Chester Bowl and Fond du Lac. In October 1929, just three and a half years after Paine took over the park department, the stock market crash dragged the country into the Great Depression. Although the department had never been funded to the extent needed to carry out all the park board’s plans, the Depression made things much worse. Paine did what he could to cut costs and keep the park system afloat, but he spent the remainder of his term as park superintendent dealing with massive cuts to the department budget and loss of staff. When reporting on the accomplishments of 1929, Paine wrote that “funds are not now provided for the printing of an annual report of the park department and only a few mimeograph copies can be gotten out. The following report is therefore made as an administrative record and in the form most convenient as such rather than a popular one.” This was the case for the remainder of his time as superintendent. for a large part of the year this department had about two hundred men working from three to six days at a time, getting no cash for their work but receiving relief orders in accordance with their needs and the amount of work which they had done. In order to carry on this work and cover the cost of supervision, tools, street car fares and other incidental expenses, the city council appropriated money from the Unemployment Bond Issue. …The fact that the men did not get any cash, the short period of time which they worked, and the character and physical condition of the men all tended to cut down the efficiency of the actual work. Nevertheless, it was very satisfactory on the whole and it was a fine thing for the morale of those who wished to do something for the help they were receiving. After leaving the park department, Paine plunged into various business pursuits, primarily real estate and investment firms. He served as president of the Nantucket Company and the Niles Land Company and as a director and vice president of the Northwestern State Bank. He also served on the St. Louis County Welfare Board from 1940 to 1961. Paine, his wife Anna, and their four children lived in the Congdon neighborhood. During World War II the family spent summers in a log cabin at the small farm that his father had established near Hawk Ridge. According to Paine’s daughter, Anne Paine Williams, a caretaker managed the garden, sheep, cows, turkeys, pigs, and chickens. During the summer the children helped out by milking cows, weeding the garden, picking vegetables and fruit, and boxing eggs. Paine maintained a large raspberry patch and numerous apple trees. In 1950 he built a permanent home adjacent to the old log cabin and created a new entrance to the farm off Jean Duluth Road known as the Paine Farm Road. Rodney Paine died on May 8, 1968, at the age of seventy-eight. In recognition of his extraordinary vision and leadership in developing Duluth’s park system, in 2012 the Duluth City Council—driven by council President Daniel Hartman, currently director of Glensheen—created a fitting memorial to Paine when they designated two thousand acres of parkland and municipal forest centered on Fond du Lac Park as the F. Rodney Paine Forest Preserve.